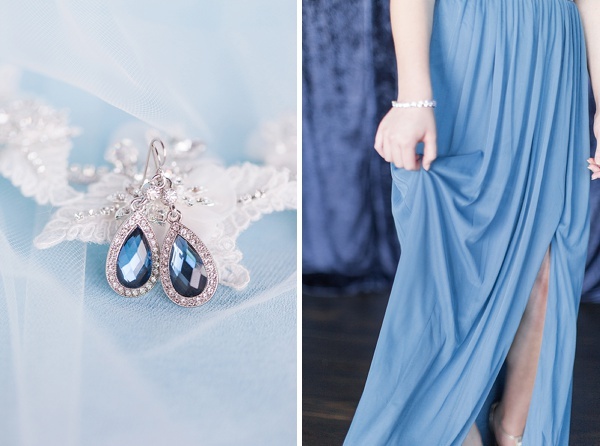 Hello, dreamy blues for days! 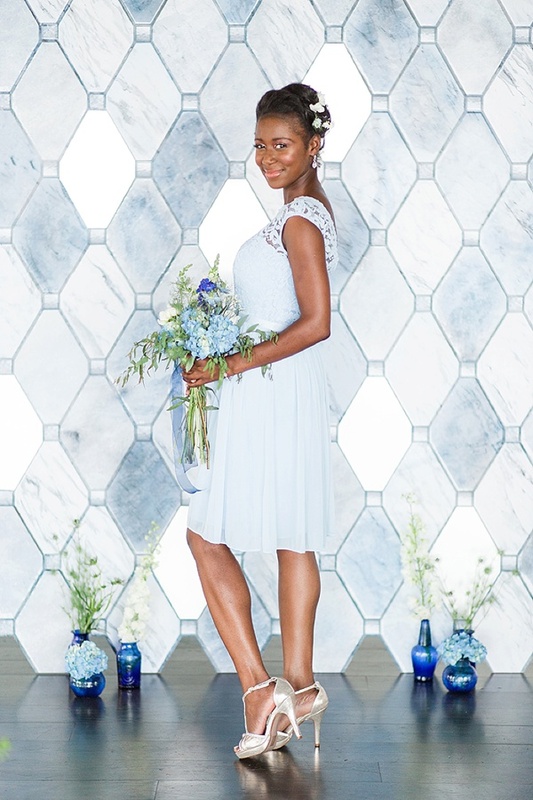 In collaboration with Aisle Society for David’s Bridal, get ready to be utterly smitten with the romance that is monochromatic and David's Bridal's latest Fall 2017 collection. 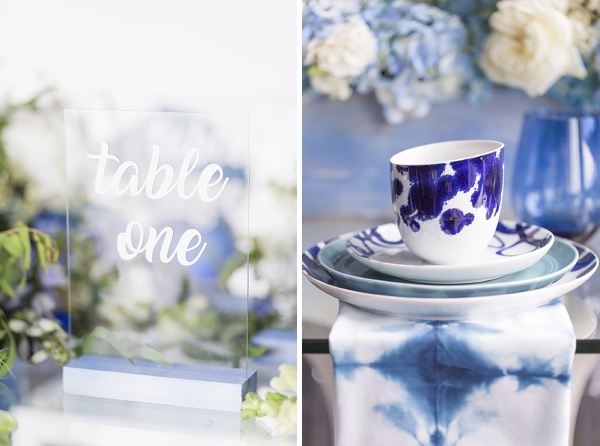 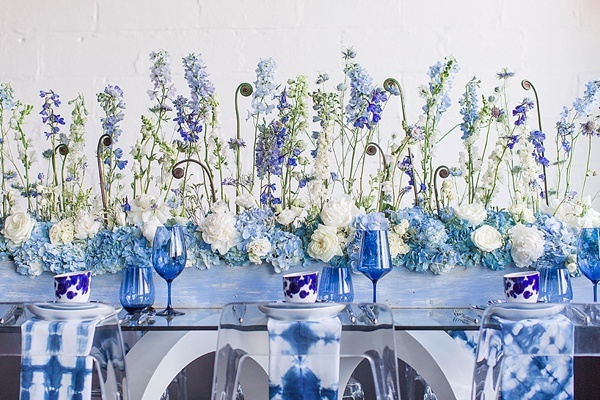 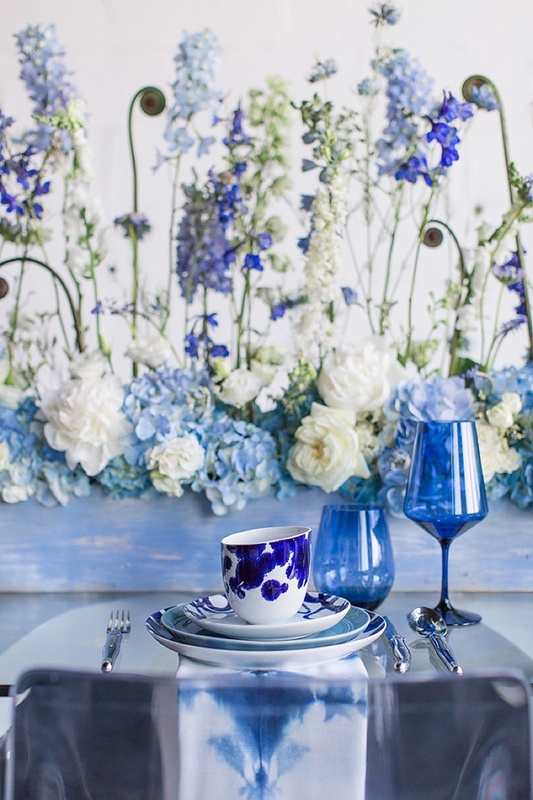 Inspired by fresh and modern aesthetic, there is a lot of "something blue" from which to choose for your coastal wedding day. 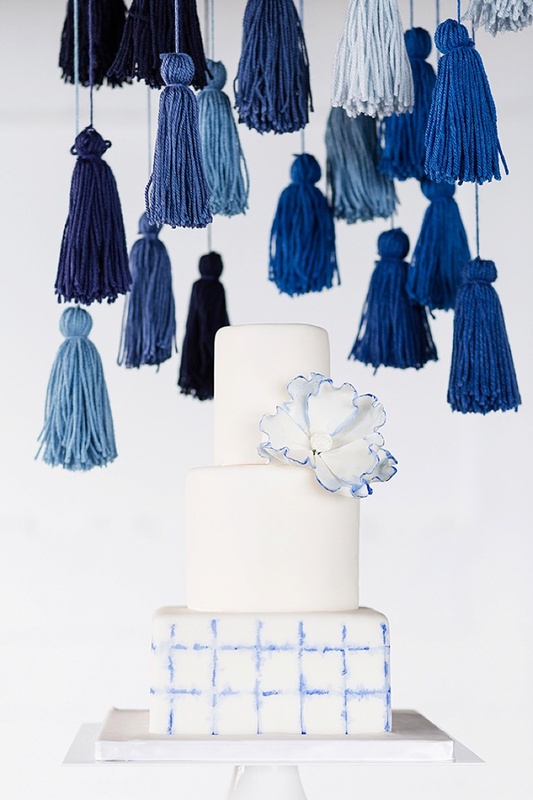 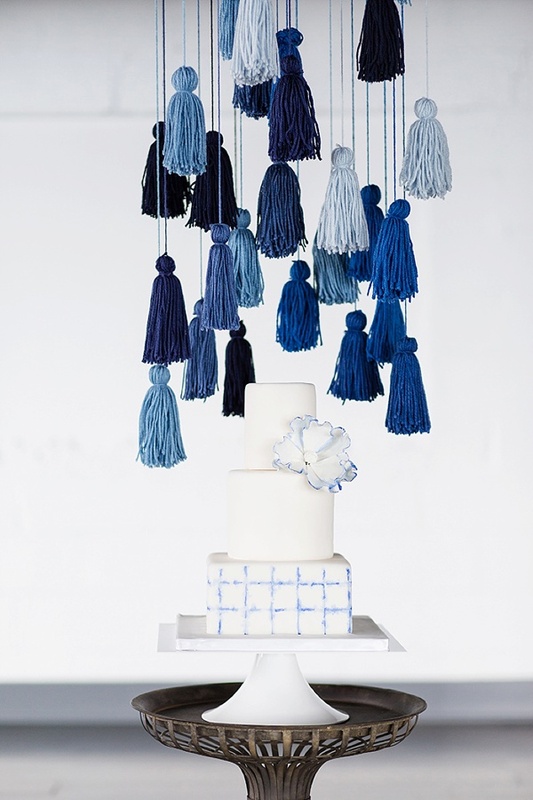 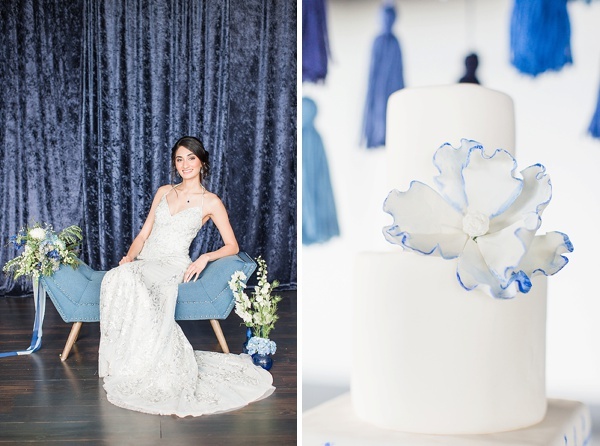 From a collection of cascading tassels above an artfully-designed white cake to an epic long floral centerpiece of locally well-loved hydrangeas that serves as a table runner to a trendy blue crushed velvet backdrop for portraits, you won't even know where to begin to pin. 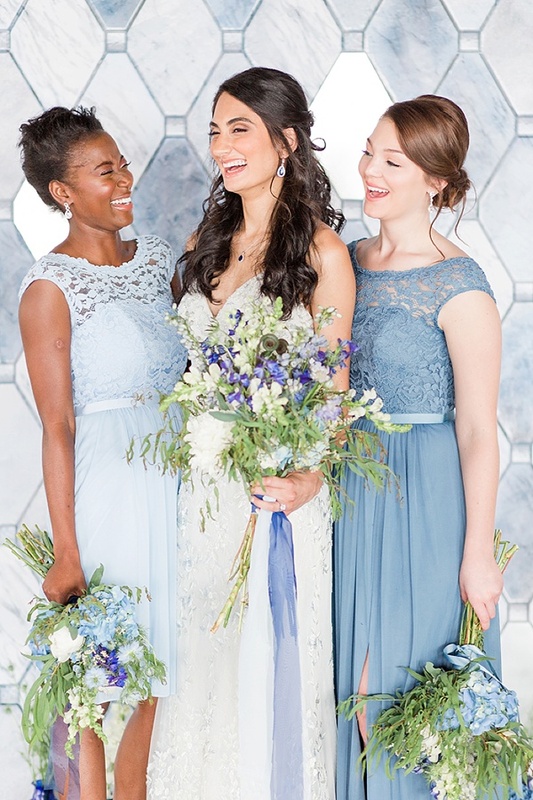 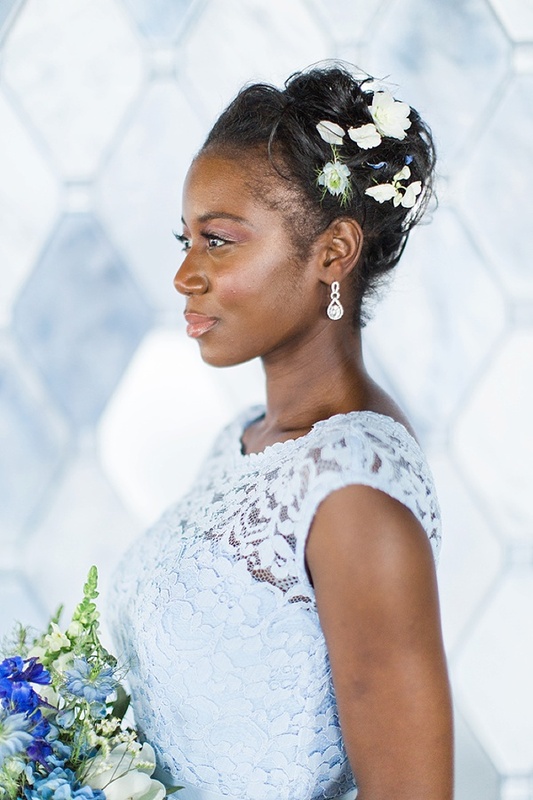 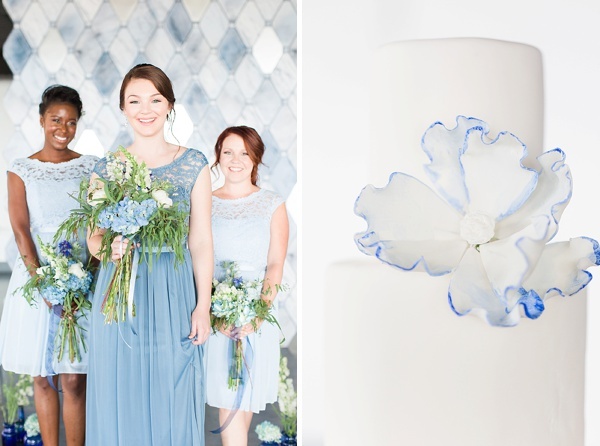 Ethereal and textural, the embroidered sheath wedding dress designed by Melissa Sweet for David's Bridal gives off an icy blue tint over soft layers of ivory tulle and lace that is complemented perfectly by the trio of dusty and pastel blue bridesmaid dresses. 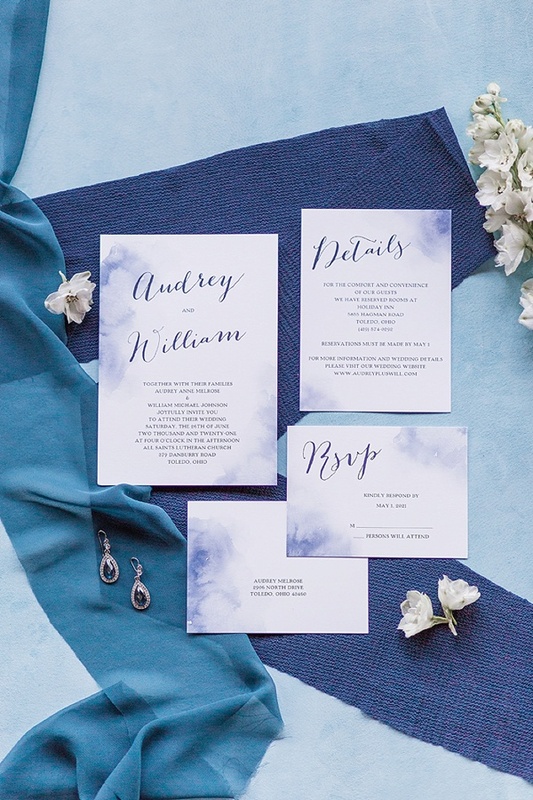 Hand-dyed shibori napkins for the reception tables mimicked the soft watercolor patches on the stationery (also found at David's Bridal!) 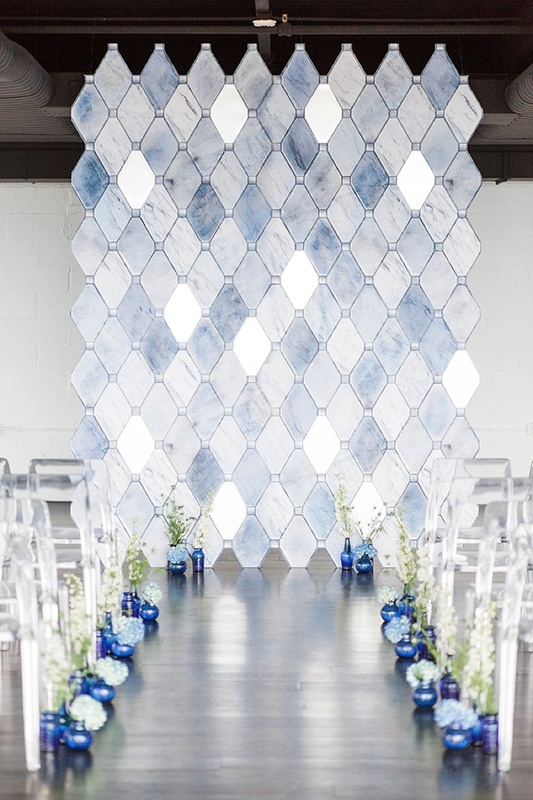 while a grand harlequin-style tile ceremony altar backdrop literally takes center stage in this gorgeous shoot. 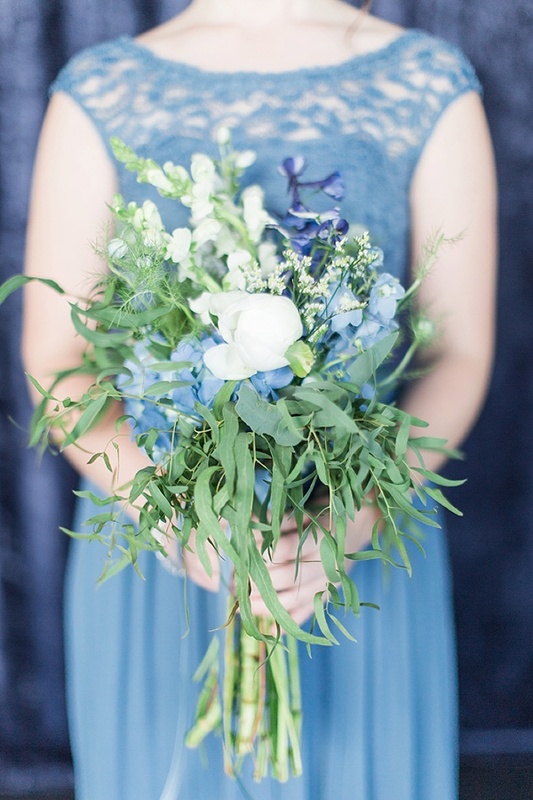 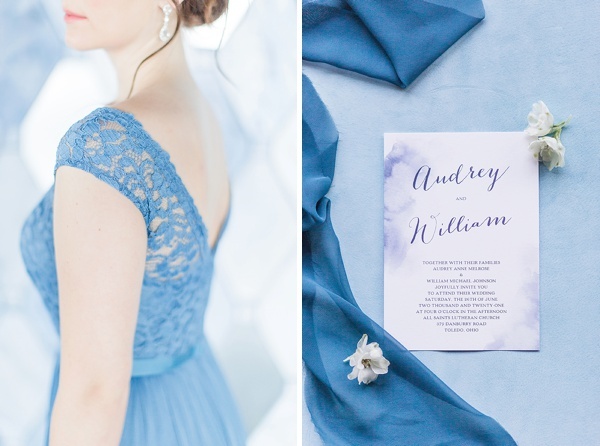 Cassi Claire captured all the sapphire and sky-colored details dreamed up by this incredible creative team, and we just can't get enough! 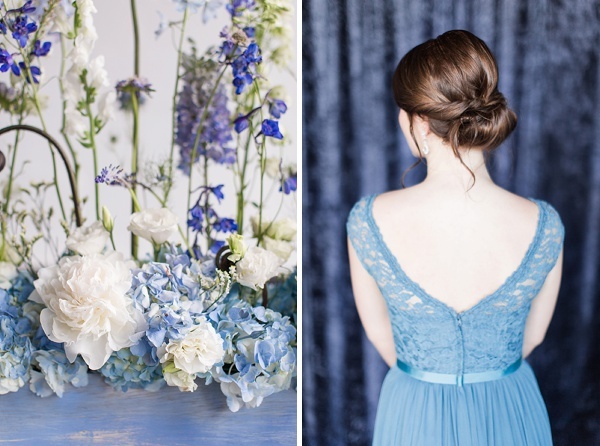 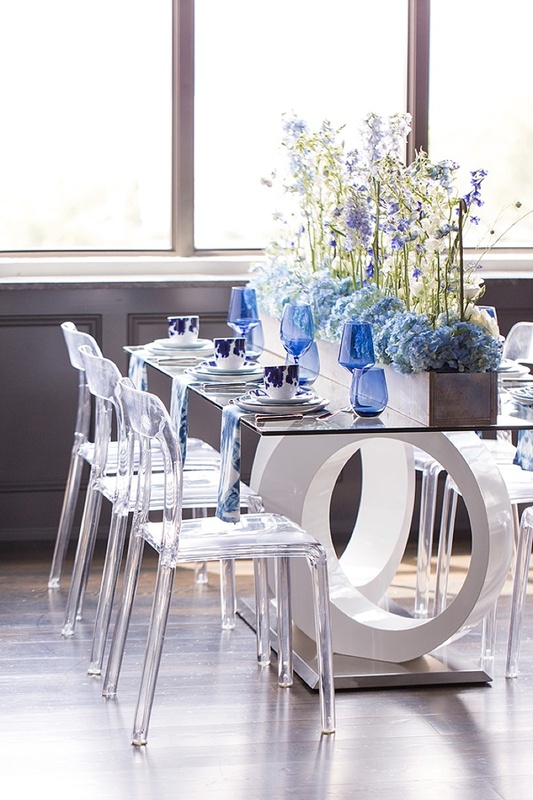 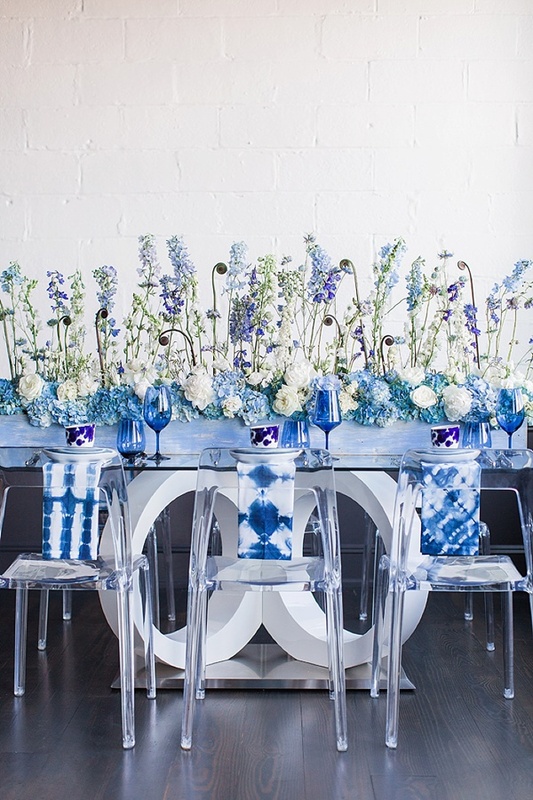 Sure, we're a little biased when it comes to blue around here, and this color palette continues to fuel that obsession! 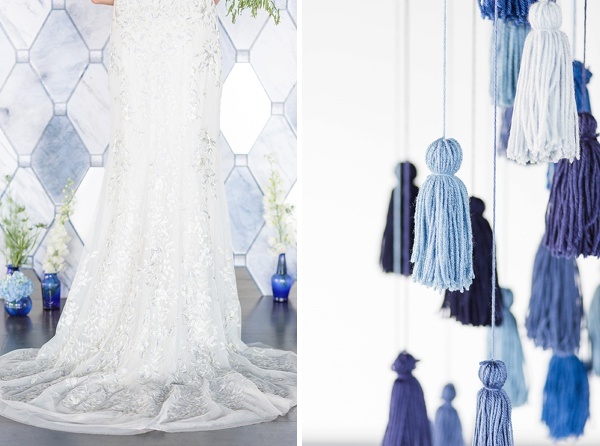 Love these gowns as much as we do? 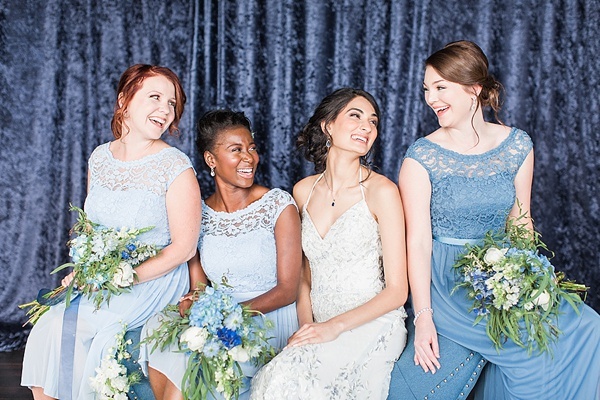 There are three local David's Bridal locations serving the Hampton Roads area in Hampton and Virginia Beach and also in Richmond! 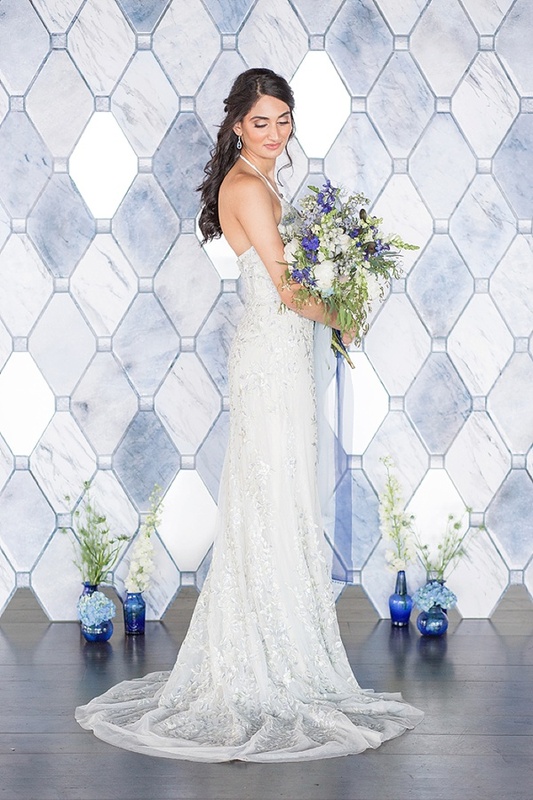 So be sure to make an appointment to try on your dream gown! 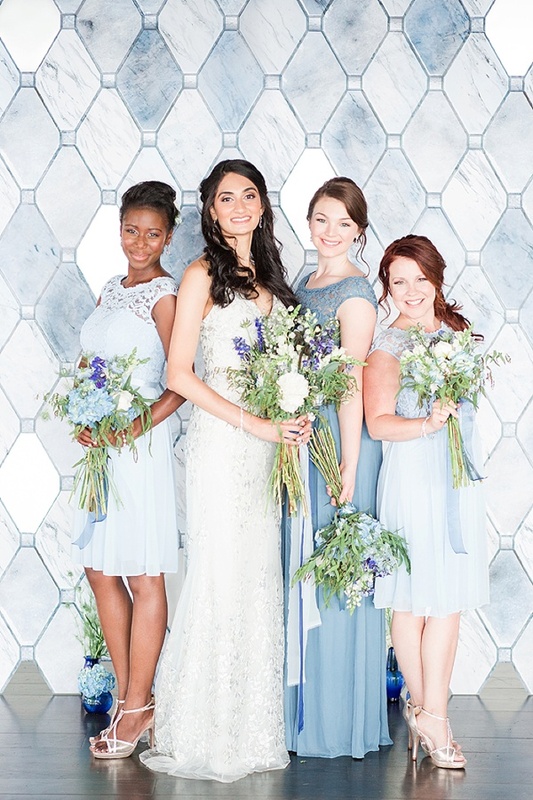 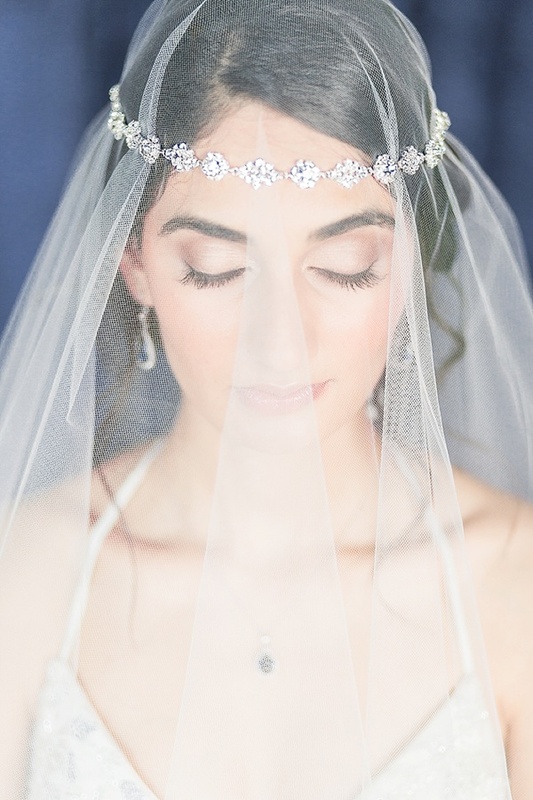 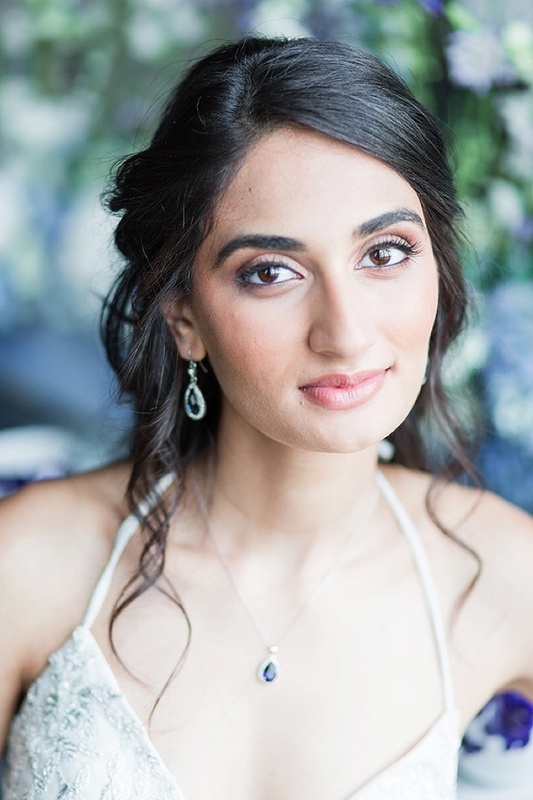 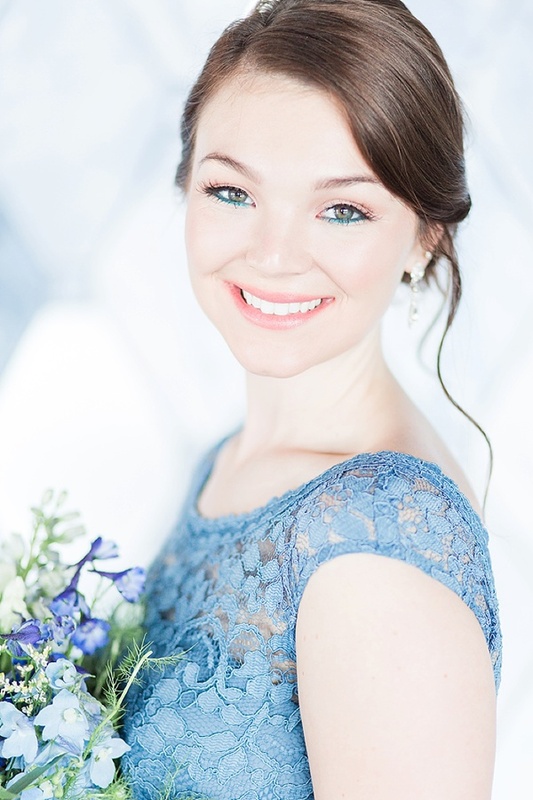 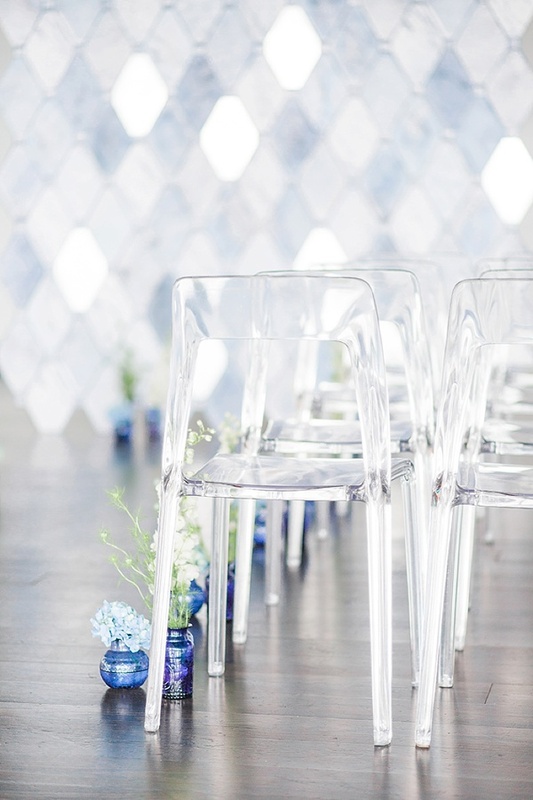 Many thanks to David's Bridal for partnering with Aisle Society for this inspiring post! 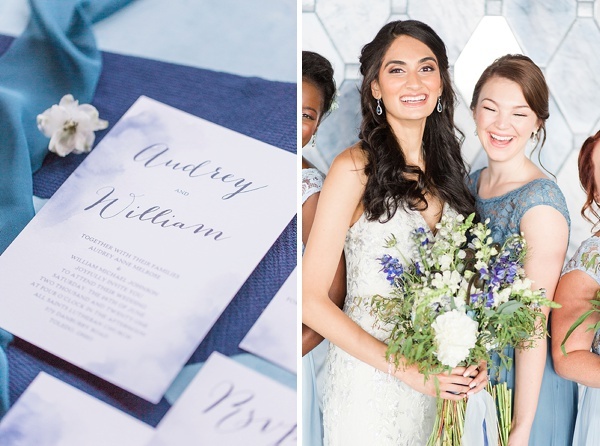 And while the disclaimer is that Aisle Society was sponsored through compensation to share these fun details, the words and opinions are all our own.